Electronic and small dimension fuses, Fuse blocks and holders up to 600 volts and 600, amps and accessories, 500 Vdc battery power and auxiliary fuses for electric vehicles in ratings from 5 to 400 amps, Automotive, in-line, limiters, midget and pin indicating, Class CC, CF, G, J, K5 and H, L, RK1, RK5 and T, and plug fuses, IEC and British Standard industrial fuses etc. Banking on our enriched industry experience, we are able to supply Ferrule Type High Speed Fuse. Chirag Techno Electricals Co. are one of the eminent suppliers of Fuses that are from very popular brands in the market. Our range of fuses is known for their compact size, high performance, easy installation and weather & dust resistance. Fast-acting supplemental fuse for multi-meters only. Intended to carry 100% of rated current indefinitely. 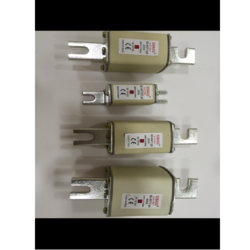 We are offering Master Shunt Fuse. 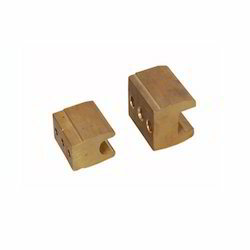 We take utmost care while sourcing the Jainson & Vaishno-Fuse Bases from well established manufacturers. Our procurement personnel manually inspect all the products so as to make sure that they are free from defects. To provide solutions for requirements of our clients, we offer a wide range of customizable Electrical Items. We use wires and other parts having best conductive property to ensure high productivity and prevent any loss of energy. These products are used extensively in engineering and construction industries owing to their many characteristics. Our presented series of Kitkat Fuse is enormously demanded in the market. We are engaged in manufacturing high quality porcelain fuse units by using best quality raw material and we have in house testing facility. Our range is widely appreciated and has observed a lot of utility on the long run. We are looking for queries from Eastern India.